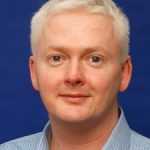 Derek McGhee is Head of Social Sciences and is Professor of Sociology at the University of Southampton. His research focuses on migration, citizenship and identity. His recent research projects have focused on the settlement practices of new European migrants into the UK, in particular post-accession Poles. McGhee also conducts research on Refugee and Asylum Seeker policy in the UK, including a recent study of NGO involvement in the UK’s Assisted Voluntary Return Program.